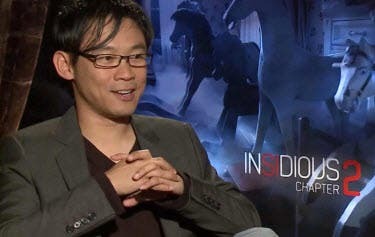 Australian director James Wan is one of the most intelligent and creative filmmakers working today. He recently conqured global box-office with the blockbuster supernatural thriller “The Conjuring” which is based on the story of husband-and-wife psychic investigators who come across a horrific case involving the hauntings of a Rhode Island farmhouse. Previously, Wan co-created the “Saw” franchise, the most successful horror-film series of all time. In “Chapter 2,” a haunted family struggles to uncover a terrifying secret that has left them dangerously connected to the spirit world. The sequel reteams the cast of the first film, including Patrick Wilson, Rose Byrne, Barbara Hershey, Lin Shaye and Ty Simpkins. The filmmaking duo, whose creative partnership goes back to their college days in Melbourne, Australia, say their inspiration has always come from trading ghost stories with one another. Even during the filming process, they constantly bounce around ideas and concepts that they then incorporate into the film. The film hit a nerve, connecting with audiences domestically and abroad. The filmmaking duo sees “Insidious: Chapter 2” as more of a psychological thriller than a horror film. While “Insidious” was infused with haunted-house-film archetypes, Wan says “Chapter 2” focuses less on gore and CGI effects than on tapping into audiences’ most basic childhood fears. Opening across the Philippines on Sept. 18, “Insidious: Chapter 2” is distributed by Columbia Pictures, local office of Sony Pictures Releasing International. Visit www.columbiapictures.com.ph to see the latest trailers, get free downloads and play free movie games.